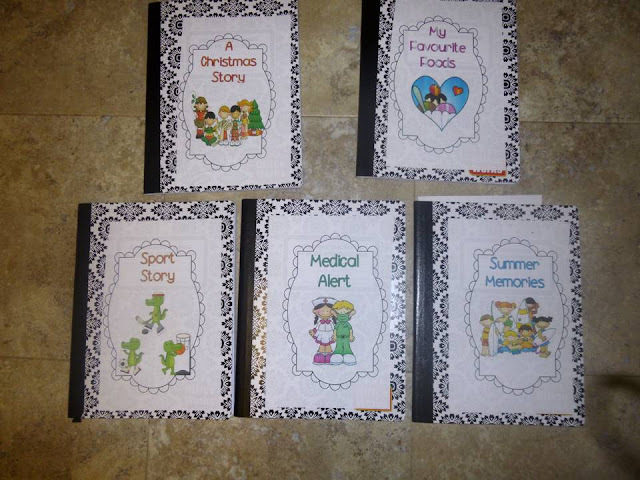 I made my Shared Writing Journals. 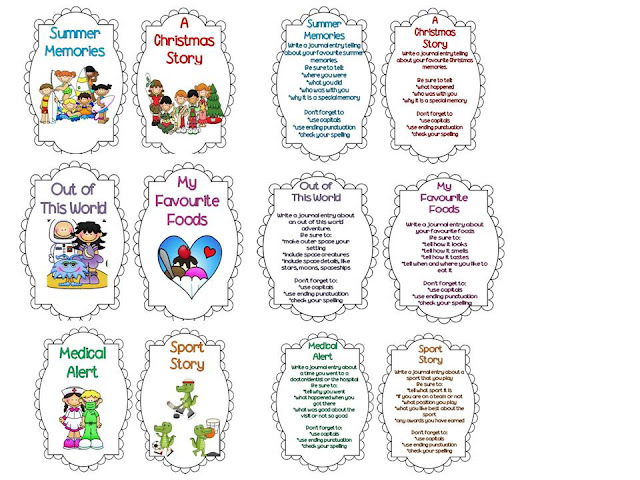 I used a lot of information from Holly's post on her shared writing journal experience when creating these. 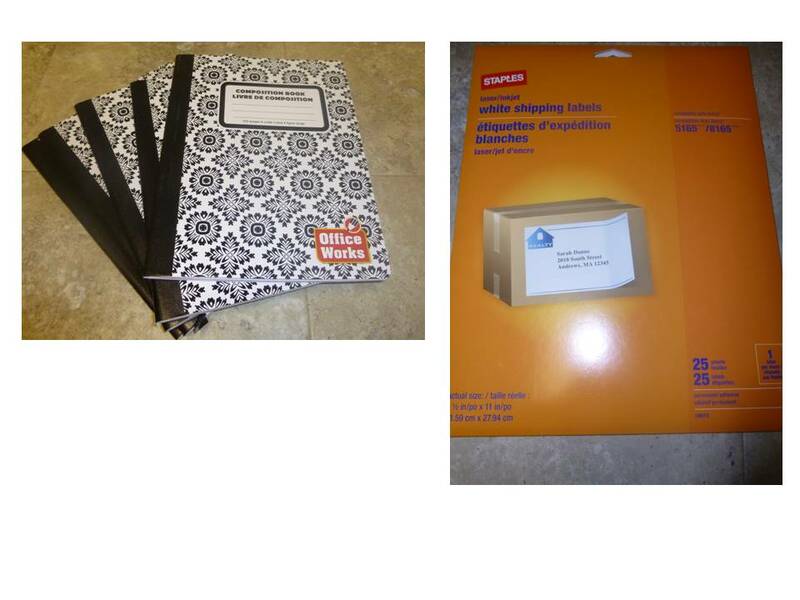 I used journals from the dollar store and full page mailing labels to make the front and inside covers. 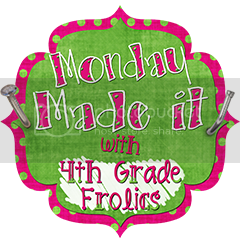 I used frames from Erin at I'm Lovin Lit, clipart from Thistlegirl and Scrappin Doodles and a font from Cara Carroll. Since I teach a 3/4 split I did not ask for the journal entries to be in paragraph form yet - I will change the directions in the new year once I teach paragraph writing again. I put the picture on the front and instructions on the inside. 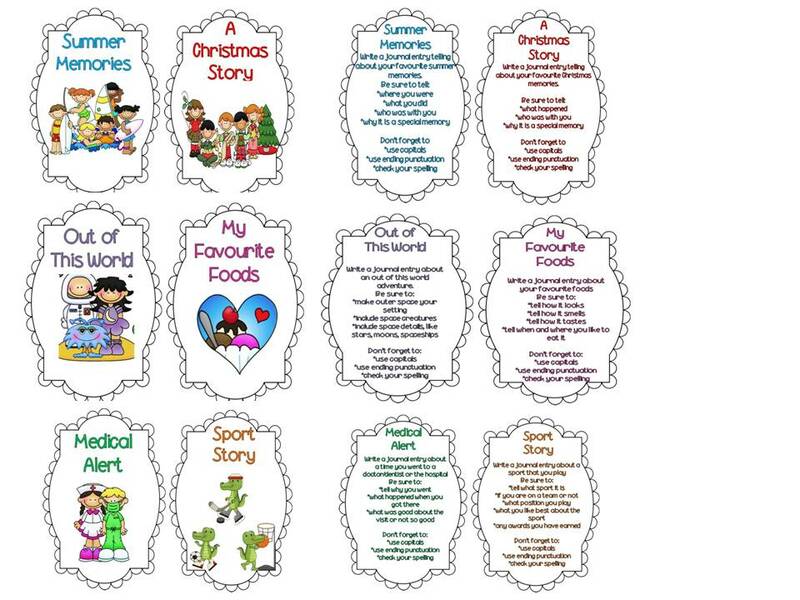 I liked Holly's idea of including numbered stickers for students to put in their personal journals as a way of tracking which students had completed which shared journals so I made stickers that matched the clipart to put in the front cover too. 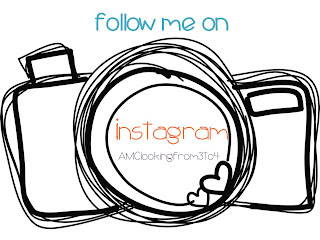 I used the wonderful free PPT from Rachel at The Tattooed Teacher to make an Instagram button for my blog because, woohoo, I made an Instagram account. I am just starting, but would love if you would follow along with me, just click on the camera! 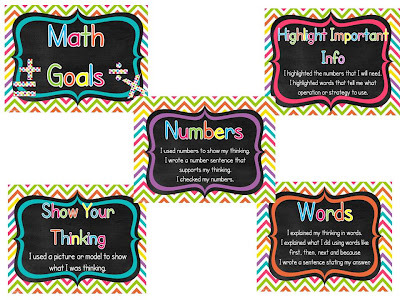 I made a Math Goals chart that I blogged about last Wednesday. Click here to pick up the problem solving portion. I made a Writing Goals chart for my classroom. I will be attaching the pages with binder rings and hanging it on magnetic hooks (or the 3M hooks if I change my mind on where to hang it). I am using binder rings so I can change out the goals throughout the year. 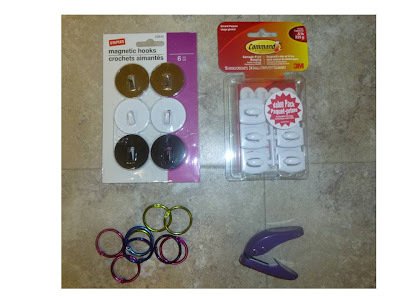 I am not sure if I will use student numbered magnets or clips or just an arrow for the ones we are focusing on, still thinking that through. 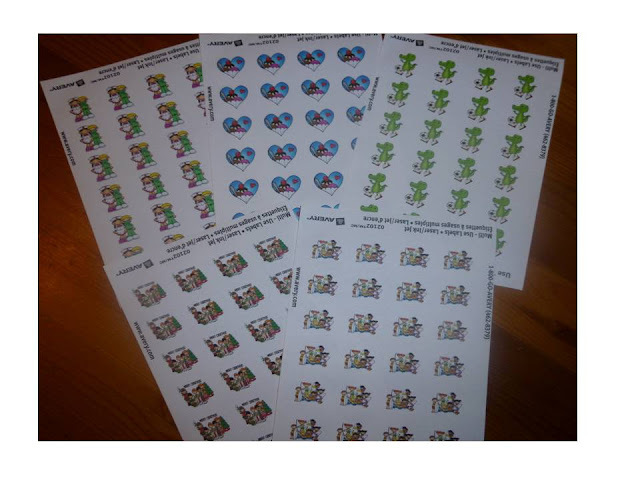 You can check it out in my TPT store if you want. It includes the writing goals I needed for my classroom (I switched them from this rough draft to be in I statements) and an editable file too. 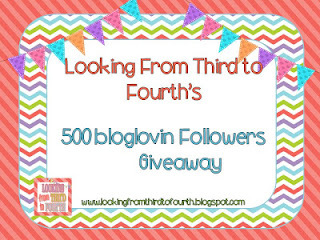 Lastly I made it to 500+ followers on bloglovin and it made my day : ). 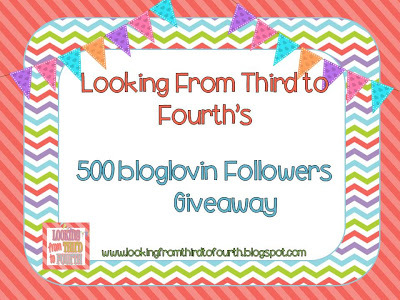 So to celebrate I am having a giveaway with lots of prizes from some amazing bloggers. Be sure to come back tomorrow to enter. I Love those shared writing journals. They turned out so cute! Your writing goals poster looks fabulous! Like the Writing Goals Poster! Love that chevron print. Can't wait for your giveaway tomorrow. Congrats on 500 followers. The idea for the writing/reading goals is brilliant. I had been toying with using a bulletin board inside my classroom, but that would be giving up prime real estate. I can do what you have suggested and save MUCHO space! Thanks for the inspiration! Hope you had fun in the falls! Wow, you have been busy. I would love to follow you on instagram. I can't wait to read more post. Thanks for sharing!!! Congrats on 500 followers - I'll definitely be back tomorrow to enter! I LOVE the class journals! I'm going to have to make some of those... I bet the children will love them! I did not know the dollar store could have such beautiful notebooks! I am going to have to see if they have nice ones around here. I really like the goal charts. Goal setting/monitoring is so important. Congratulations on the followers! I love everything you made. 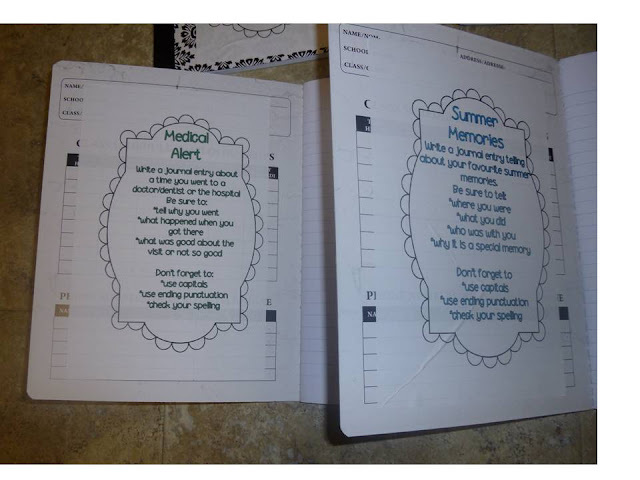 That was a good idea to include expectations in the shared writing journals. I'm going to add that to mine. 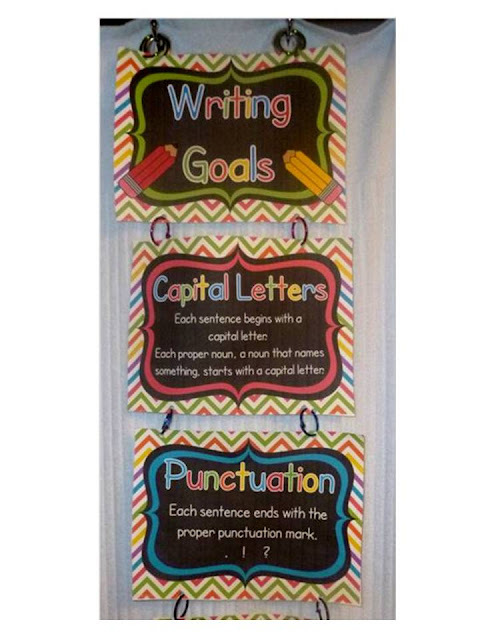 The writing goals chart is an excellent idea, and it looks cute too!